Hug the coastline of eastern South America on this amazing unplugged adventure. 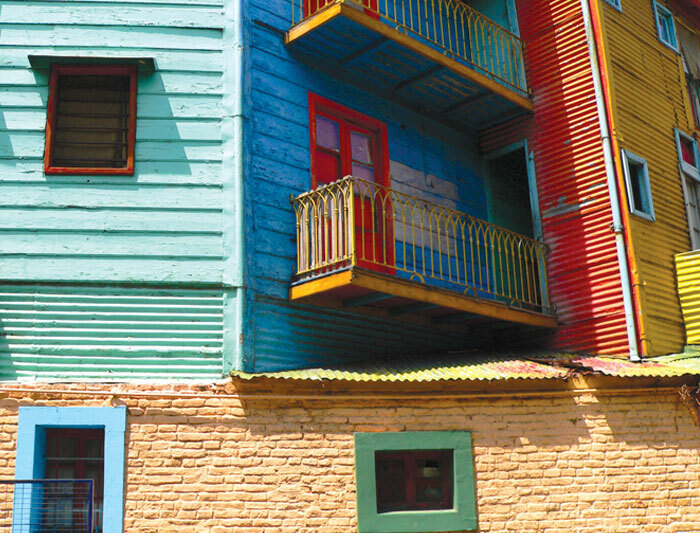 Discover an array of colourful Argentinean attractions, travel to Rio de Janeiro to soak up ‘la vida’ Brazil style and experience life on a working estancia in Uruguay. South America will reveal itself as a fun, feisty and flamboyant continent that will leave you giddy and wanting more, more, more! Bienvenidos. Welcome to Argentina. Your adventure begins with an orientation walk around Buenos Aires’ Microcentro district at 1pm. Your leader will be waiting in the lobby of your joining point hotel. Pass by historic buildings along the Avenida de Mayo, including the Casa Rosada (Argentina's government house) and perhaps have a coffee in the traditional Café Tortoni. Stroll around the picturesque streets of San Telmo and its antique markets. In the evening, attend a group welcome meeting at 6pm. Please look for a note in the hotel lobby or ask reception where it will take place. We'll be collecting insurance details and next of kin information at this meeting for those that did not attend the orientation walk earlier, so ensure you bring these details to provide to your leader. If you're going to be late, please inform hotel reception. 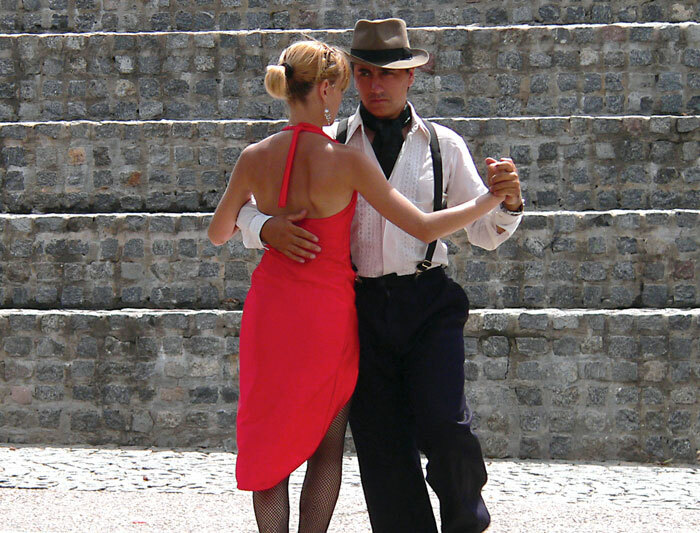 Head out tonight and be swept away by the dance of love at an optional tango show. There’s a lot to see if you arrive early into the city. Explore the antique markets of San Telmo or browse the museums in the well-to-do neighbourhood of Recoleta. If you’re a foodie or a wine connoisseur, take part in the Malbec Trail of Palermo or Gourmet Buenos Aires Food Urban Adventure day tour. Notes: If you can't arrange a flight that will arrive in time, you may wish to arrive a day early so you're able to attend the welcome meeting. We'll be happy to book additional accommodation for you (subject to availability). 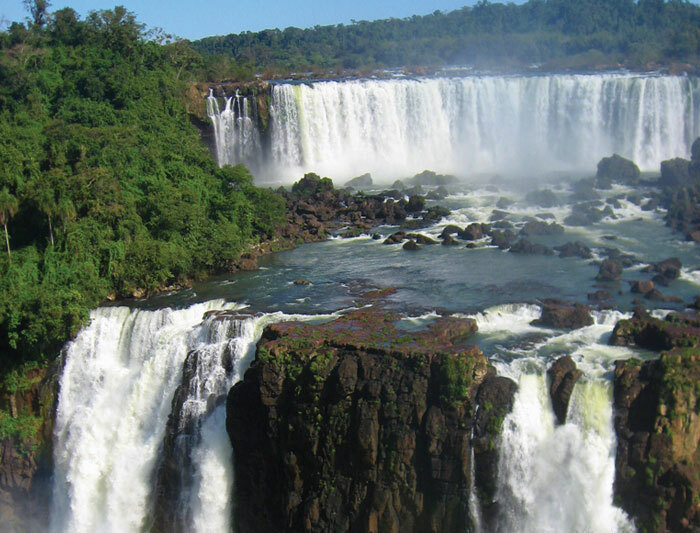 As soon as you arrive at Puerto Iguazu bus station this morning, take a minivan across the border into Brazil and continue onto your hotel in Foz do Iguacu. Depending on traffic, this should take about an hour. 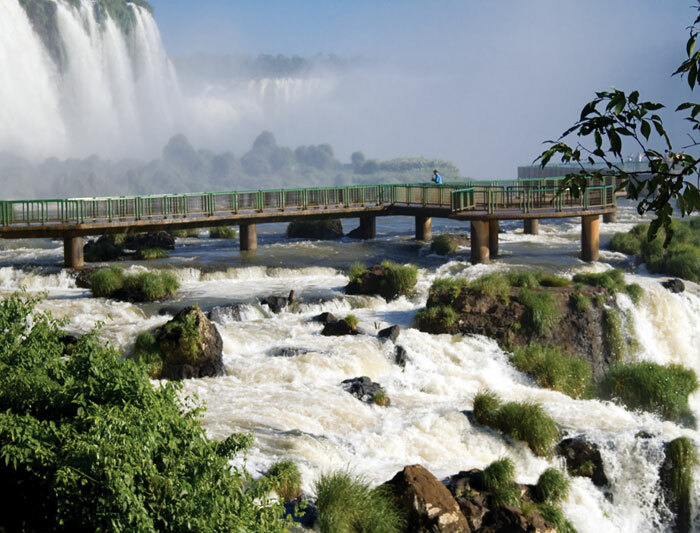 Close to the borders with Argentina and Paraguay, Foz do Iguacu is Brazil's gateway to the famous Iguazu Falls. Uppon arrival If hotel rooms are ready you will be able to check in before heading out to explore the Brazilian side of the falls. Soon after take a short transfer to the falls. From here, panoramic views can be enjoyed. For unforgettable views, take an optional helicopter flight over the falls (at your own expense). Depending on time, you can also visit the local bird park while you’re here. Today you'll take an included flight to Rio de Janeiro. Upon arrival and after settling in to your hotel room your tour leader leader will take you on an orientation walk. The remainder of the day is yours to explore. People-watch on Copacabana or Ipanema beach or, if the time of year is right, check out a soccer game at the famous Maracana Stadium. You might like to take the tramcar up to the hillside neighbourhood of Santa Teresa or head up Corcovado Mountain, where you’ll find sweeping views over Rio from the foot of the Christ the Redeemer statue. Taking part in one of our Urban Adventure day tours, such as the Total Rio Tour, the Santa Teresa Discovery or the Corcovado and Christ Statue tour are also great ways to see this exciting city. As evening approaches, perhaps take the cable car up to Sugarloaf Mountain to watch the sunset before partying in the samba clubs of Lapa.